Currently, in the market there are so many models of wifi thermostats available, making the choice very difficult for a commoner. 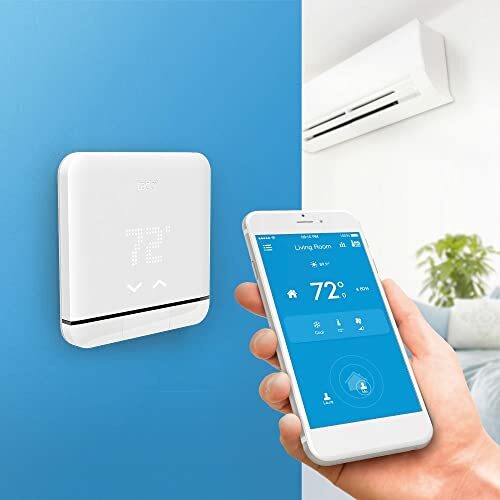 Since the first Wi-Fi thermostats began commercialized only a few years ago, we have seen many models came to stores, each time with better connectivity, better features and at a cheaper price. Although most are similar, the truth is that we can find a diversity of functions and prices. Knowing them a little more thoroughly, you can realize that not always all the models adapt to our needs. In this guide, we will try to help you so that you can make a better selection. 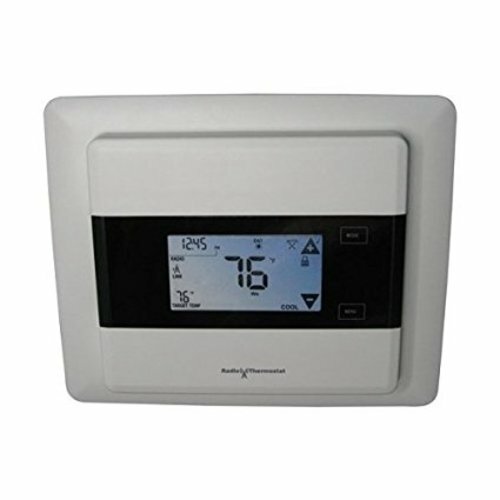 What WiFi thermostat do I need? The first thing you have to think about is your heating system. Different thermostats can control different functions and devices. For example, if you have an air conditioning system that can provide you with the heating functionality also (the aerothermal, geothermal or heat pump systems), you should select a Wi-Fi thermostat that allows control of both. On the other hand, if you only have one heating system, it will not be necessary for you to buy a wifi thermostat that can control cold too because you cannot take advantage of it. In the latter case, you can find cheaper smart wifi thermostats. There are more important criteria that we have taken into account in the writing of this guide, and that we expose you below. How to select the right WiFi thermostat? 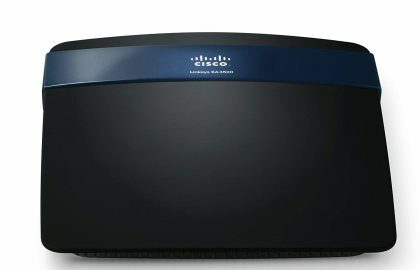 Wireless or wired: Wireless connectivity is important because it makes the system versatile. If you want to change the location of thermostat frequently, you must choose a wireless thermostat. If it is going to be placed on the wall static, WiFi options don’t matter. Only for heating or for air conditioning: you must take into account the type of air conditioning system you have. If it is mixed cold/heat, you may be more interested in buying a thermostat that can control cold and heat and kill two birds with one stone. Price: there are huge differences in price, and basically these differences are due to design and user experience. If these parameters are not the most valued, the difference in functionality is often minimal, despite large differences in price. Design: This depends on the consumer’s taste. If you are going to install it on the wall, in a very visible manner, you may be interested in opting for an elegantly designed thermostat. If you are going to install it in the boiler room, you can save a few dollars by opting for a thermostat where the design is not its greatest virtue. Connectivity and usability: although all the thermostats are wireless and can work through the app from the smartphone, it is convenient to read the user reviews and deduce which apps work better, have fewer communication errors or are more user-friendly than the rest. The Nest and Ecobee3 are great smart thermostats with a lot of features but we cannot ignore the fact that they are expensive. Unlike them, the Sensi has everything for a Wi-Fi thermostat at a much lesser price tag. The Sensi operates on two AA batteries so that it does not require a separate power cord. The batteries last longer than a year, and there is an icon on the display that shows battery level. The installation is quick and easy with the help of the app. You must download the Sensi app from iTunes or Google Play and follow the instructions. You will be asked to take a picture of the existing wiring and you are presented with a screen full of buttons corresponding to different colors of wires. Screw the Sensi bottom plate to the wall, connect the wires to the corresponding messages on the screen and you are ready to control the thermostat. After connecting the system to the Wi-Fi network, it monitors the air conditioning and heating and you can adjust the temperature setting on the wall can change via the app. You can also set up schedules to automatically change the temperature. While the Sensi doesn’t have the features of “Learning your Habit” but you can program accordingly with ease. The Sensi and his companion app are a marvel of simplicity. The buttons on the thermostat are clearly marked and the LED display is large and easy to read. You can see the current temperature and the desired temperature and if the schedule is on or off at a glance. The Sensi can also use the internet to show the outside temperature and humidity on the basis of your postal code. If you are a Wink hub home automation user, you can add Sensi to the Wink app on your phone as well. This allows Sensi to be a part of your home automation. Adding the Sensi to a Wink hub also gives you an Apple Watch app to allow control of the temperature from your wrist. If you want a thermostat that is so simple and smart enough to control it from the phone and to schedule complex heating and cooling setups without spending much, Emerson Sensi is the best choice. In short, Sensi is another word for elegance and simplicity at a cheap price. 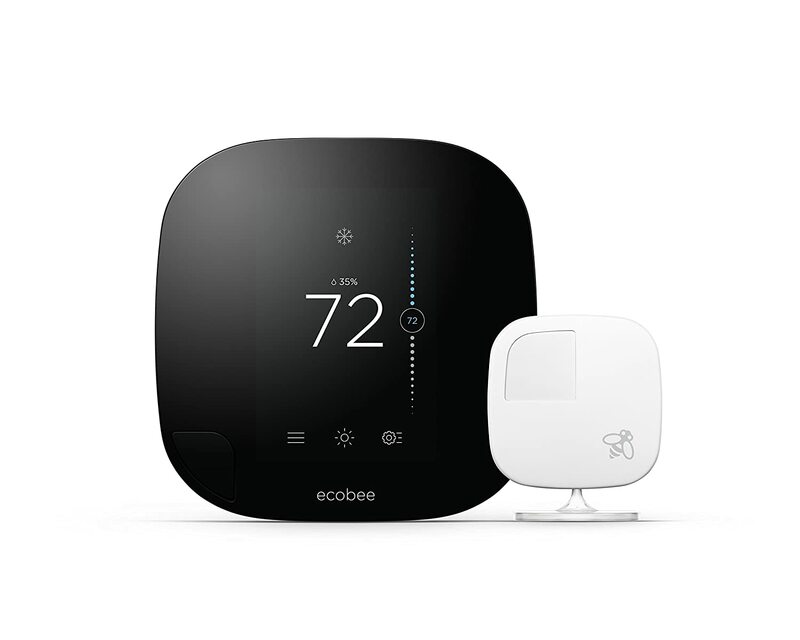 The Ecobee3 is an easy-to-install thermostat, loaded with features including a remote sensor for heating and cooling rooms outside of the thermostat zone, numerous reminders and alerts, a capacitive touch display, and a Home IQ system monitor that tracks heating and cooling usage. Unlike the Nest and Honeywell Lyric, which both have a built-in battery, the Ecobee3 derives power from the common wire of your HVAC system. This is a more reliable method than its competitors, who do not provide as stable a power with batteries being prone to replacement often. The kit is quite easy for homeowners to install in residential furnaces. The rest of the setup procedure involves entering the Ecobee system what type of heating or cooling system you have, entering your Wi-Fi password, and setting up your location. The Ecobee comes with a wireless sensor which is driven by a CR2032 battery which lasts approximately 4 years. If you are a smartphone user, the layout and the operation of the Ecobee interface will immediately feel familiar. In the inactive state, the Ecobee indicates the current temperature in your house in the large white figures and an icon shows the local weather conditions. If you want to temporarily change either setting, hold your finger on the number and drag it up or down. However, it felt even easier to use and understand the Ecobee controls than the nest. In the menu, opened by clicking the left icon, you can adjust the settings, shall set a schedule, reminders and holiday modes. The middle icon reveals weather prediction for the week, and the right icon enables you to activate Home or Away mode. Ecobee’s iOS app is almost identical to the interface of the thermostat. Ecobee’s Web portal also allows you to check and change settings on the thermostat. A Home IQ tab is there to see detailed information on when your heating and cooling system was active, and the environmental factors which triggered it. There are many useful features in Ecobee3 and one of them is the Smart Home / Away setting. If you activate this, the thermostat automatically detects the presence of people in the home and overrides the Away setting. Although not as versatile as the Nest, which has its own ecosystem and a significant competitive edge with connected devices, the Ecobee can connect to SmartThings, Control4 and Vera smart home systems, and has an open API, thus we can expect more partnerships in the future. Those who bought old Ecobee and want to use with HomeKit will need to upgrade to a newer HomeKit-compatible Ecobee3; unfortunately, this will require the purchase of a new Ecobee3 for its full price. Despite the bulk load of features and compatibility of Nest Learning Thermostat, I prefer the Ecobee3 for its simple operation, HomeKit compatibility and it does a better job than the Nest in terms of performance. The 3rd generation Nest Learning Thermostat is not a huge leap forward in terms of the previous models, but the Nest Learning Thermostat is itself a huge leap in the field. The 3rd Gen, however, has a larger and easier to read display, and can detect motion from farther away. It is not only the hardware but the technology behind it that makes the Nest so irresistible. It can even learn your behavior to adjust the temperature, and Nest new connected home platform promises even more integration with other smart home devices. Design wise the third-generation Nest is approximately the same as the previous version: a ring of brushed stainless steel 3.3 inch in diameter and 1.26 inch thick. It has a beautiful, heavy feeling, especially when turning the dial. The new Nest has a 40 percent larger and sharper display, measuring 3 inches in diameter and with a resolution of 480 x 480 pixels. If you know how to use a screwdriver, you can install the nest yourself in about half an hour, if not less. Not only Nest offer easy to follow step-by-step instructions, but it even includes a screwdriver – you don’t get that with other smart thermostat kits. The third generation Nest contains a large number of new features that are absent in previous generations of the product. These include Auto-schedule, where the Nest learns the temperatures you like, and automatic programs itself, and Auto-away mode, where the temperature is lowered if it senses you are not home. 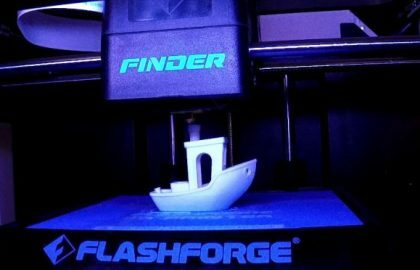 The Farsight feature can feel your presence from across the room and light up to show the temperature and time. Although you need to use it for about a week or so for it to learn your preferences, once done it does the job very well. The Nest’s main competitor, the Ecobee3 is also a good choice for a smart thermostat. The Ecobee3 must be shifted manually to the Heat or Cool mode while the Nest can automatically do it. Although the Nest Learning Thermostat is a Google product, it is not compatible with Apple’s HomeKit program, but Nest has launched the Nest Weave and works with Nest-program, where the other developers can use the Nest API to make their own smart home devices. The Nest thermostat operates with a wide range of smart home devices, including the Logitech Harmony remote controls, Philips Hue lights, Pebble SmartWatch, Misfit and jawbone activity trackers, built-in equipment of Whirlpool, LG and GE, and locks of Kevo, August, and Yale. Combining with Google’s Dropcam you can set that device to automatically alert you when the thermostat is set to Away mode and can detect motion. Because it is owned by Google, it is more tightly integrated into other smart home products, such as the Nest cam and the Nest smoke detector. With the new Nest Weave platform that other companies can integrate into their own products, it has a better chance of creating an even stronger network of smart home devices. If you have other Nest products in your home, you can buy the Nest Smart Thermostat to build a connected home. Otherwise, there are better options available at cheaper price. Thermostat giant Honeywell designed this Wi-Fi-enabled model in competition to the Nest Learning Thermostat. 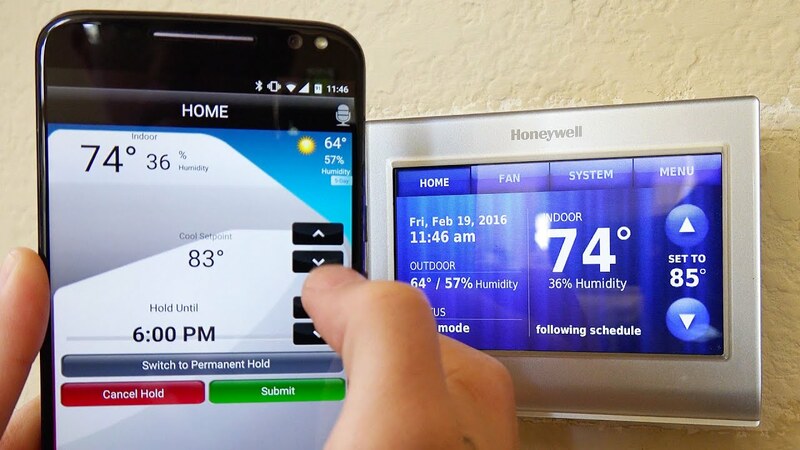 The Honeywell Smart Wi-Fi can be recommended to anyone who is a DIY lover and doesn’t need a professional installation company to set up the thermostat. 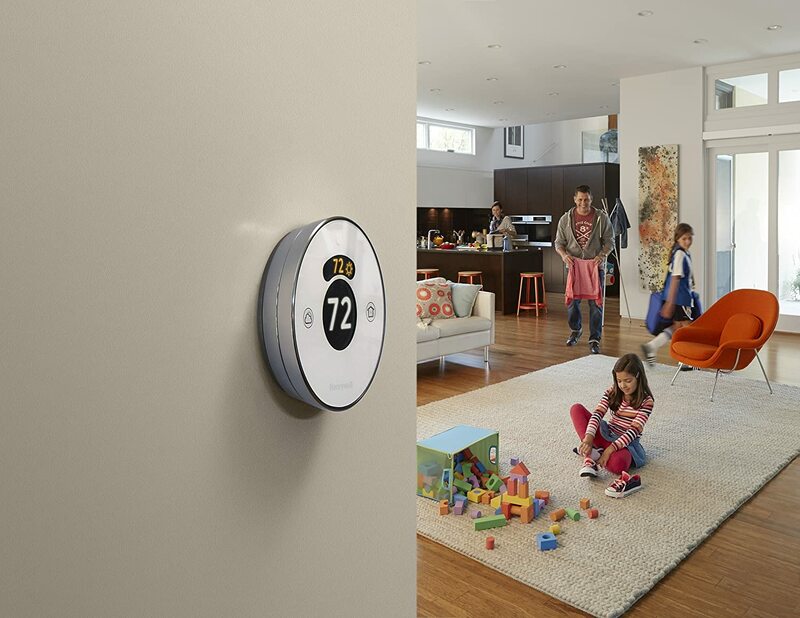 Honeywell puts more emphasis on the utility by displaying more information at the front, while the nest is more streamlined and design-oriented. On the Start screen, you will see the date and time, the indoor and outdoor temperature and humidity, and up and down arrows so you can manually change the temperature. The touchscreen and the app are both very quick to responding and if your Wi-Fi is off, the thermostat will continue to function as an ordinary digital model. 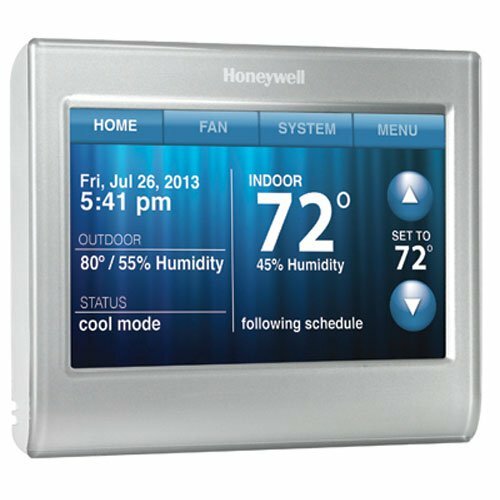 The Honeywell Wi-Fi Smart Thermostat is also accessible via the free web-based and Android and iOS mobile apps. The Honeywell Total Connect Comfort iOS app is very intuitive, but the frequent log-outs are annoying. You can schedule your thermostat settings for each day of the week. Even if you do not have a schedule for your thermostat setting, Honeywell algorithms use to ‘learn’ your habits and will begin with your heating and cooling to adjust automatically based on your usage pattern. But you have to check the compatibility before you buy Honeywell. There are many different types of heating and cooling systems and some simply are not compatible with this thermostat. It has built-in sensors that and it notes weather conditions outside via Wi-Fi and determines how the outside temperature influences your indoor heating and cooling patterns. The temperature will be adjusted automatically on the basis of typical heating and cooling cycle and the planning functionality also carried out without any hiccups. The feature-rich screen, uncomplicated web and mobile apps, and top-notch functionality make it a worthy competitor for the identical priced Nest Learning Thermostat. Honeywell Lyric thermostat is one of the latest smart thermostats that you can control with your smartphone. The design reminds me of their thermostats from the 1950s, the Honeywell Lyric is circular, with a large white face, surrounded by chrome trim. Just above that is a smaller, curved screen indicating whether or not the Lyric is heating or cooling, and what temperature it is reaching to. Like with the Nest, you can rotate the outer ring of the lyric to change the temperature; soft background lighting adds a lovely homely touch. Generally, the Lyric has an elegant look but does not feel as tight or premium as the Nest learning thermostat. 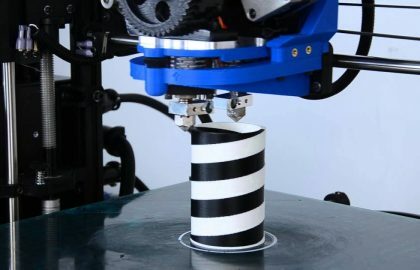 Installing the Lyric is very easy and with the super-friendly user manual, it will take only minutes. As soon as you install the battery, you must use the heating mode for 5 minutes, then the cooling cycle for 5 minutes so that the Lyric can best calculate the power requirements of your HVAC system. When you use the Lyric app to open, a small circle at the top shows the current temperature in your house or apartment, with a blue background to indicate whether the Lyric is in cooling operation, or an orange background as the heating operation. You can create and edit the settings for a variety of conditions such as the Away mode, which means when you leave your house or Eco-mode when you go to sleep. The Lyric’s Fine Tune function allows even small adjustments to the temperature on the basis of outdoor environmental conditions. The Nest has a few other features that the Lyric is missing. For one, there is no way to see when your heating or air conditioning was active when you were away on the Lyric. You will need the Lyrics mobile app to change your location or password. One major problem is that the Lyric is not compatible with some wireless routers. So check out the compatibility specs before you buy. The second generation Honeywell Lyric is now Apple HomeKit-certified, which means that you are able to operate using the Siri. While the Lyric has improved with the time, the Nest and Ecobee3 offer more opportunities with connected home systems. For a thermostat in its price range, the smart Iris thermostat is extremely intelligent and programmable. You can program up to four different temperatures each day, learn user preferences over time and automatically enact changes. With a cell phone application that is compatible with Android and IOS, it will allow you to control your HVAC system from almost anywhere. If you are looking for the best Wi-Fi thermostat at an affordable price, Iris Smart Thermostat is definitely the best. With Tado Smart Thermostat, you can control the air in your home anywhere using the app provided. It works with Android and iOS. TADO’s smart AC control is what it is known for. It is compatible with Amazon Alexa, Apple HomeKit, Google Assistant to adjust it using voice commands. Works perfectly with a boiler, gas central heating, or underfloor heating. You can control various independent areas of the home. Guarantees a saving of 31% energy. 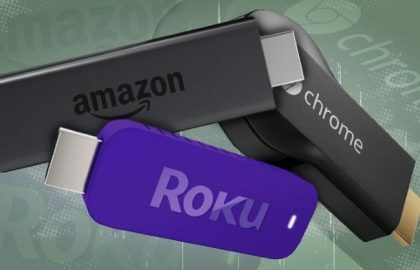 It includes several accessories such as a USB cable, connectors, ethernet cable, mounting material and 3 AAA batteries. 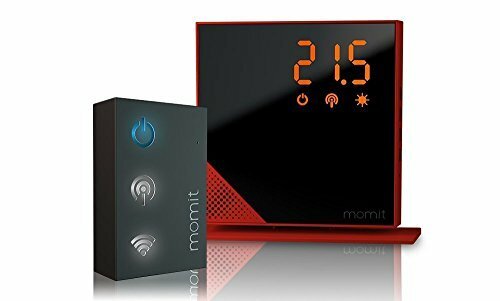 The Momit Smart Thermostat is a wall thermostat, with a beautiful design, which was the rival to the Nest Thermostat in Europe. Its touchscreen design allows you to perform many functions from your screen, without having to resort to the app to manage it at home, as with many other thermostats. You can even configure it through the screen, something impossible in others. 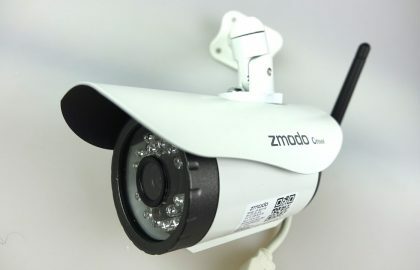 Its advanced functions of learning your habits, as well as other functions, such as following a budget, activating automatically when you return home, the motion sensor, which reduces the temperature if you do not detect anyone at home for a while, it will allow you to reduce heating and air conditioning costs by more than 30% easily. In addition, it is one of the few thermostats on the market that will allow you to control both the heating and cooling of your home (provided they are compatible), thus providing the complete air conditioning system of the house with a smart device easily controllable through its screen or an app on your smartphone. 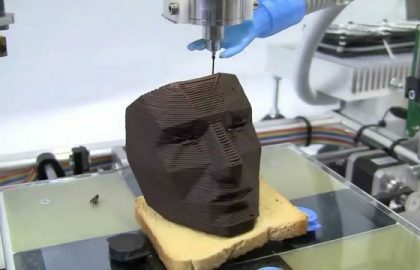 All this is good but the device is very expensive. 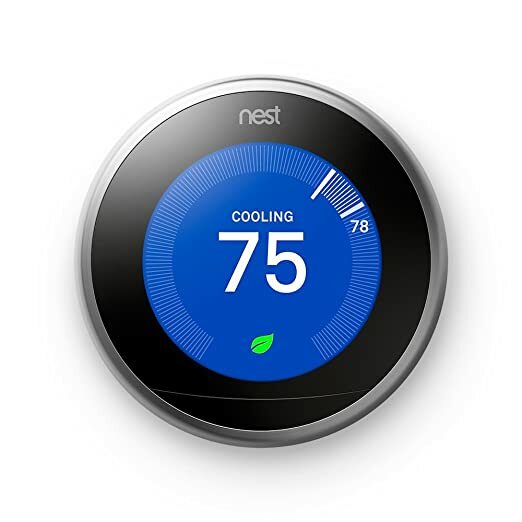 The Nest thermostat performs most of the functions Momit can do at less than half the price. This is a good option only for those who want to try out the exotic expensive one.